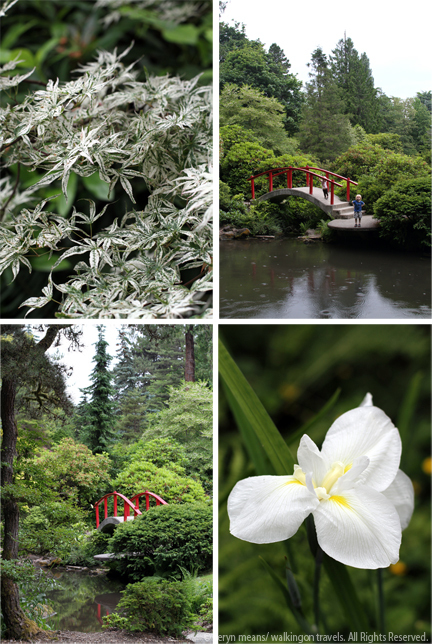 I love Japanese gardens. There is something so peaceful about them. 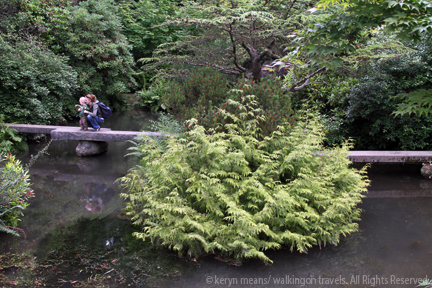 Exploring a Japanese garden with a toddler can be a bit stressful though. So many little pathways, so many delicate flowers and trees. Too many ways for little explorers to get in trouble. 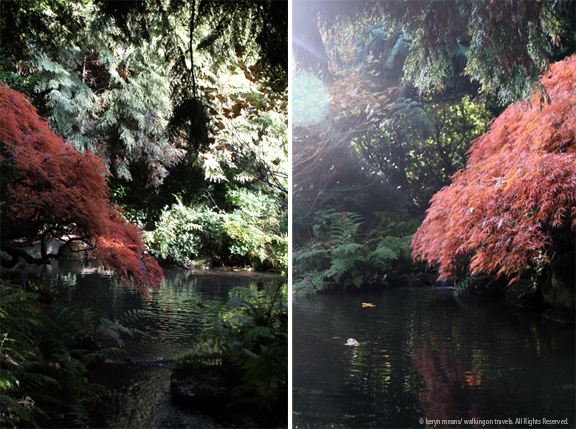 Same path, very different colors. Not to mention some slightly taller kids. 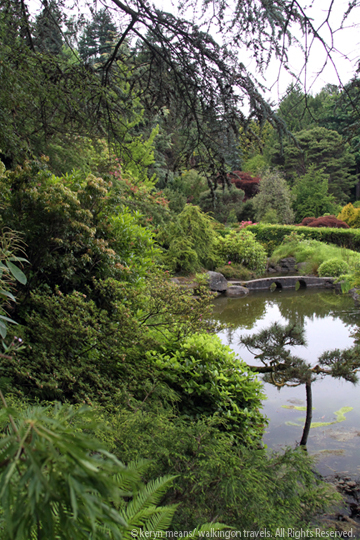 The Kubota Garden just south of Seattle is probably the easiest way to expose your kids to a Japanese garden (with a few American influences thrown in.) It is a city park that is well maintained, but no garden guards are lurking about just waiting for your kid to slip off the path. Children are free to explore and wander, even step off the path, without fear. Well, unless sliding down a hill is a problem or falling into a pond. Little fear for mom, but not for kids. 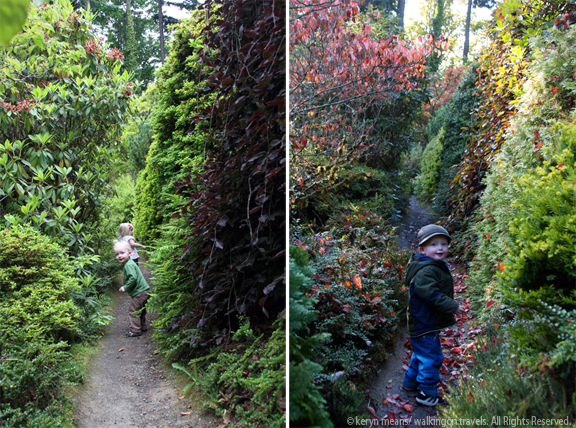 Dek and I have been lucky to explore this garden in early summer as well as the fall with my friend Nic and her kids. These two seasons gave us all very different experiences. Summer was warm, with brilliant greens and blooming flowers. 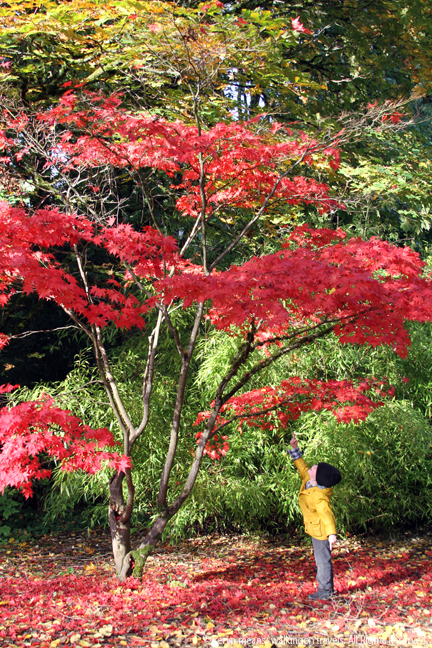 Fall held it’s own magical beauty in the changing colors of the Japanese maples. Never have I seen so many brilliant golds, oranges, reds and yellows. As we head off to Hawaii this week, I realize that this is my last peek of fall colors. The East Coast is already getting snow. By the time we get home most of the trees will have shed their leaves and winter will be settling in. 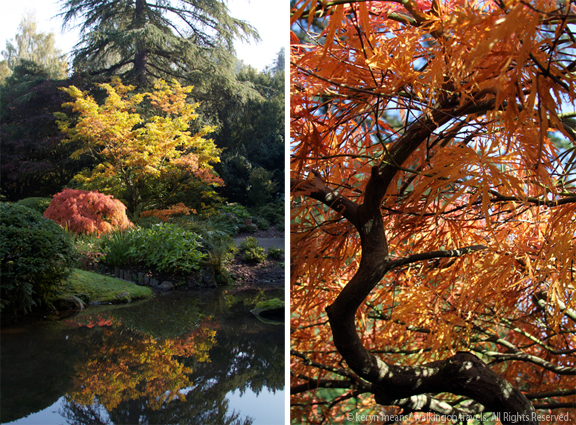 I can’t think of a better way to celebrate the changing seasons than exploring one of my favorite gardens. If Seattle actually gets snow this year I think we will all be headed back down. That red bridge would look gorgeous with a little white dusting over top. Bonus Image: A favorite part of the day on our last visit was when we almost trampled an orange and black caterpillar. 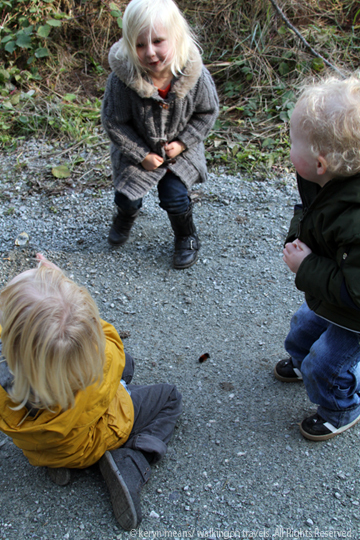 Our three tiny explorers had to stop and discover what this creature was. Lee (the little girl in our bunch) and Dek never actually touched it, but boy were they full of giggles as they tried. El and Nic decided we should probably move the caterpillar off the path in case someone else didn’t see it. After Nic moved it, El lovingly placed a leaf over the caterpillar to further protect it in its new spot among the bushes. Nice to know we are raising some creature caring kids so far. Drop-in tours are offered on the 4th Saturday of every month at 10am, April through October. Tours are 90 minutes. Self-guided tours are offered every other day of the month. Maps are at the entrance.